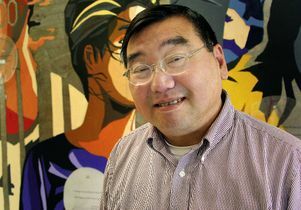 A faculty member at UCLA for 35 years, Don Nakanishi served as the director of the Asian American Studies Center from 1990-2010. The UCLA Asian American Studies Center, Asian American Studies Department, Graduate School of Education and Information Studies, and the Institute of American Cultures will host a celebration of his life on June 8 from 5-7 p.m. at the UCLA Faculty Center's Sequoia Room. The program will begin at 5:30 p.m.
A faculty member at UCLA for 35 years, he served as the director of the Asian American Studies Center from 1990-2010. In 2009, he retired as a professor emeritus of Asian American studies as well as social sciences and comparative education. A political scientist by training, Nakanishi was the first scholar to demonstrate that Asian Americans, despite high group levels of education and income that are usually associated with active political participation, had very low levels of voter registration and voting. In 1971, Nakanishi co-founded the center’s Amerasia Journal, a leading interdisciplinary academic journal in the field. In 1976, he began to compile lists of Asian American elected officials across the country, launching the National Asian Pacific American Political Almanac, touted as an "indispensable guide to Asian American politics." Born to Japanese parents who were incarcerated during World War II in Poston, Arizona, and raised in the multiethnic community of East Los Angeles, he attended Theodore Roosevelt High School, where he was elected student body president. He was named “Boy Mayor” of the City of Los Angeles when he was a senior. With a B.A. in intensive political science from Yale University in 1971 and a Ph.D. in political science from Harvard in 1978, Nakanishi vividly recalled during an interview for a UCLA publication what occurred on Dec. 7, 1966, at Yale where he was a freshman and a third-generation Japanese-American studying to be a physician. The day had been uneventful, he recalled, until 9 p.m., when "everybody in the dorm suddenly converged on my room and started throwing water balloons at me, chanting 'Bomb Pearl Harbor, bomb Pearl Harbor.'" Then one student stood before a drenched Nakanishi and recited President Franklin Delano Roosevelt's declaration of war speech. "I didn't know what to make of it — whether to laugh or cry," the professor recalled. But soon his curiosity about why people felt so strongly 25 years after Pearl Harbor sent him to the library where he checked out the very first Asian American studies book he had ever read. Written by three UC Berkeley professors, "Prejudice, War and the Constitution" was their historical account of race relations and the law, leading up to Roosevelt's infamous Executive Order 9066, which authorized the incarceration of 120,000 Japanese Americans in the wake of the bombing of Pearl Harbor. "That's when I learned for the first time what had really happened. I then understood what my parents had never told me and what my K-12 education had never taught me," he said. Nakanishi was later appointed by President Bill Clinton to the Civil Liberties Public Education Fund Board of Directors. The board administered the nationwide public education and research program, established under the 1988 Civil Liberties Act that provided a national apology and reparations to the Japanese-Americans who were incarcerated during World War II. Among Nakanishi's many former students are faculty members at colleges and universities across the nation and world, award-winning writers and artists, and elected officials, community leaders and educators. Nakanishi wrote more than 100 books, articles and reports on the political participation of Asian Pacific Americans and other ethnic and racial groups in American politics; educational research on issues of access and representation; and the international political dimensions of minority experiences. 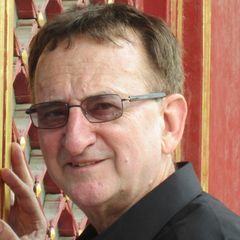 During his career, he received numerous awards for his scholarly achievements and public service, including the National Community Leadership Award from the Asian Pacific Institute for Congressional Studies in 2007, the Yale Medal from Yale University in 2008 and the inaugural Engaged Scholar Award from the Association of Asian American Studies in 2009. He served as the national president of that association. In addition, he received lifetime achievement awards from the Los Angeles City Council, Los Angeles County Board of Supervisors and the California State Assembly. In 2010, then-Los Angeles Mayor Antonio Villaraigosa presented him with the “Spirit of Los Angeles” award. Lauding Nakanishi for having pioneered the field of Asian American studies, the mayor noted that "as a young Antonio Villaraigosa, I had the great fortune of being one of his students." Upon his retirement from UCLA, faculty colleagues, alumni, students, donors, and friends joined to establish a special endowment at UCLA, the Don T. Nakanishi Award for Outstanding Engaged Scholarship in Asian American & Pacific Islander Studies, which annually recognizes and provides cash awards to UCLA faculty and graduate students in Asian American studies, who are pursuing outstanding community-based engaged research. Professor Nakanishi is survived by his wife, Marsha Hirano-Nakanishi, who recently retired from the California State University system, and his son, Thomas, who completed his graduate studies in public policy at Harvard University's Kennedy School of Government. A more complete biography is available here. A celebration of his life is being planned by the center. A funeral service will be held Saturday, April 2, at 3 p.m. at Nishi Hongwanji Buddhist Temple (815 E. First St, Los Angeles, CA 90012). 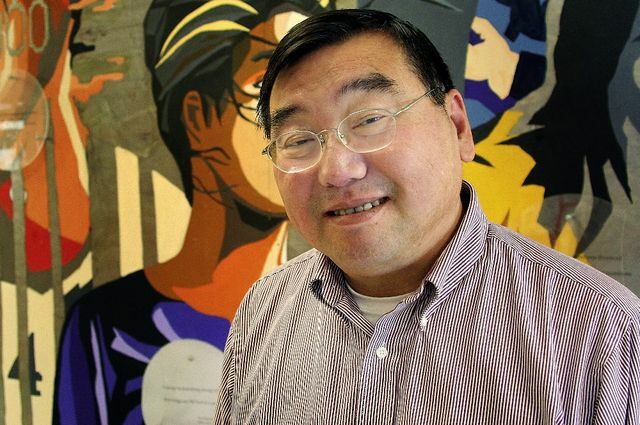 In lieu of flowers, the family asks that donations can be made to the Don T. Nakanishi Award for Outstanding Engaged Scholarship in Asian American and Pacific Islander Studies at UCLA. Or the Nakanishi Prize at Yale.